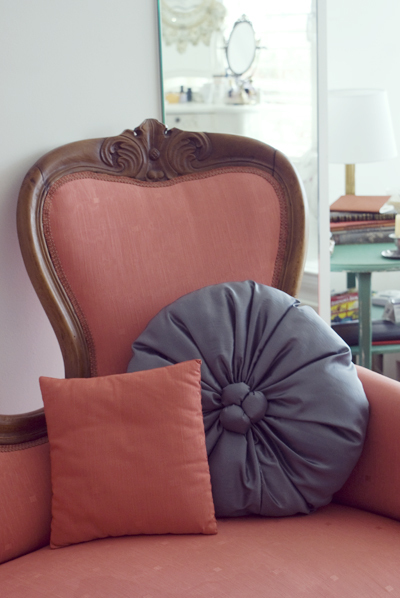 I don't remember where I first got the Idea for this kind of pillow (I think it was an image from Dita Von Teese's "Home Tour" ), but I wanted to make one of those round pillows with folds spreading out from a button at the center of the circle. 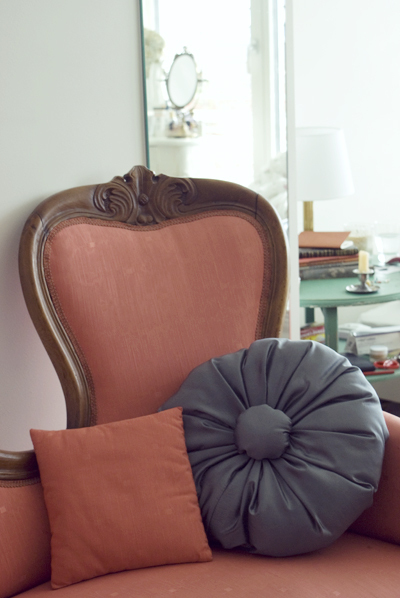 I think it was the round pillow in this picture, although I wanted folds at the middle. It's definitely not as perfect or glamourous as Dita's pillow, but I quite like it! I had some trouble finding a large enough button to cover in fabric (for the middle), so I just cut out circles of fabric, gathered them around the edge and filled them with stuffing. I like the side with three little balls better, I think it would look even better with 5 smaller ones. The side with only one ball looks a little clownish to me, but it's ok, I'll just keep it turned around :) What I like about this alternative to buttons, is that the pillow stays very soft throughout! 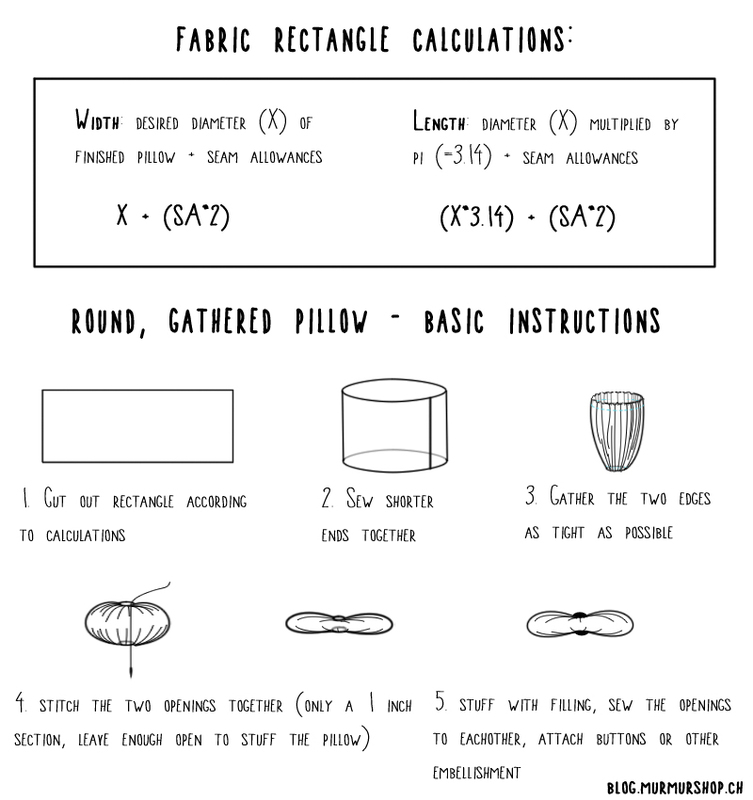 I think the instructions are pretty clear (I made the illustrations because the process sounds more complicated than it is when it's only described). I used my machine to stitch the shorter sides together, but the gathering is actually easier by hand with a doubled thread (waxed for extra strength) I think, you can make pretty large running stitches since there's so much to gather. I think this is a good project for beginners, or when you just feel like sewing something cute and easy. Maybe you could even use up some scrap fabric (the piece that you end up with because you bought a little more than you needed for that dress pattern, just to be sure ;))? 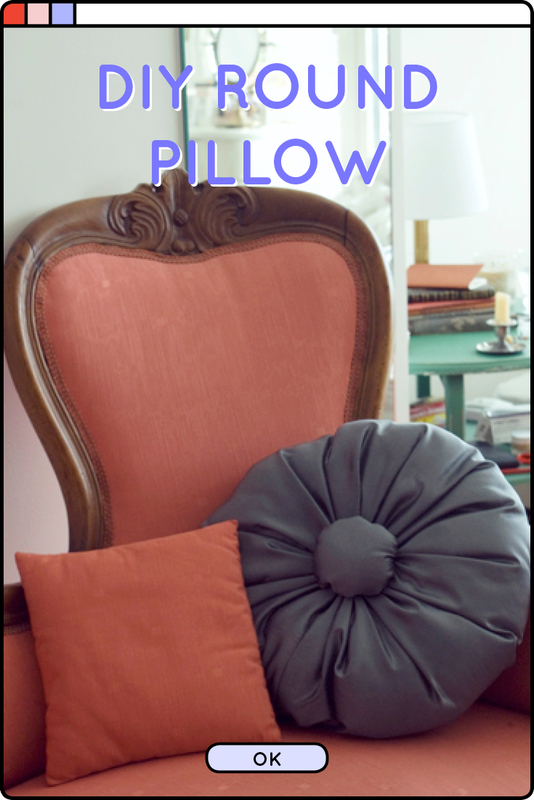 My pillow is a little bit boring (I want it to be versatile), but you could make it interesting by using a contrasting button, a fun pattern or a bright color! Or make it weird by sewing a tassle in the middle instead of a button!